Having his Cake and Eating it: It was hard Lines on Higgins. The German Masters continues at a pace with 15 more matches on Day 2 including some players playing twice in one day in the morning and evening sessions, Bazza is really working these boys hard. This is also the day that myself and Mrs SB will be travelling over there to see what all the fuss is about. As I won’t be able to update the preview I will only be in a position to waffle on about the morning and afternoon session you will be pleased to hear. At the time of writing the big shock of the first day is the exit of John Higgins to Peter Lines of Leeds. Now I don’t know if this is another one of those coincidences but Peter was last seen munching on one of Mrs Snookerbacker’s cakes on Sunday and now he goes and beats Higgins. 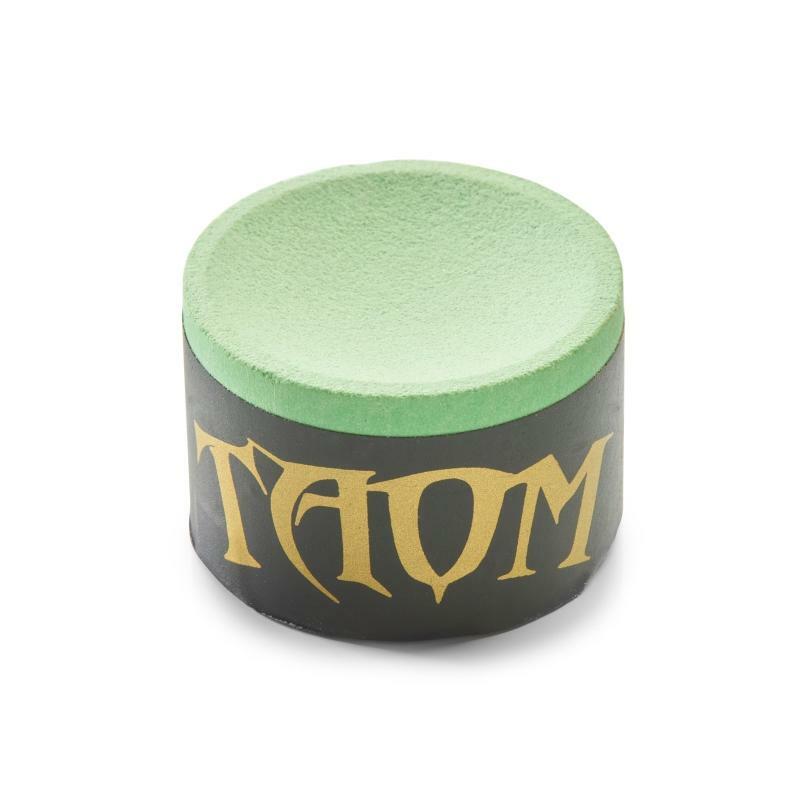 Is this yet another case of these magical performance enhancers at work? I’m saying nothing, but you can watch Peter’s overjoyed reaction to his win here where he remains suspiciously silent about the cake issue. In the other matches all went more or less with the form book and the maximum advised bet on Dom Dale landed though Higgins losing scuppered all the accumulator action. Neil Robertson branded the outside tables ‘unplayable’ after his 5-0 win, but I can’t help getting a little sick of all this table talk at times. 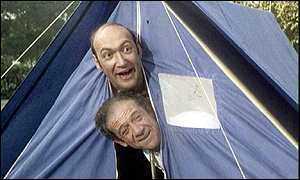 If they aren’t whingeing about the cloth they are banging on about big bounces or dodgy rolls. I love Robbo as regular readers know but sometimes it’s time to just put a sock in it. The venue is fantastic for spectators and all this moaning and groaning isn’t really in keeping with the event, what does it achieve putting it on Twitter? Nothing. Speak to World Snooker and tell them to sort it out and leave it at that. Anyway, like I say it’s a short write up on the morning session only for today and a very brief afternoon one. We’ll be getting to Berlin for around 5 o’clock so probably won’t take in any snooker until Friday while we get our bearings and find somewhere nice to fill our faces. Hotel internet permitting, normal service will be resumed for Day 3. There may be trouble ahead, but while there’s music and moonlight and love and bromance, let’s watch the mutual appreciation society of Michael Holt and MJW battle it out in soft light with candles and fluffy cushions. This pair make Elton and David look like neanderthal men when they get going, hardly a day goes by when they don’t tweet sweet nothings to each other and you wonder how either of them cope with the trauma of having to beat the other on the baize, the poor loves. MJW leads the head to heads 5-1 but it was Holt who won their last encounter (not the Shootout), whilst I think talk of MJ’s demise is premature I do think he is struggling a little and I expect this to be close so Holt’s price with a 2.5 frame start is attractive, he’s a very good player and when he’s in the mood he can beat anyone, my guess is that he’ll probably get chances in this. You would expect Robbo to put his table worries to one side and progress against Michael Wasley, Wazza is improving in leaps and bounds this season and seems to have taken to life as a professional like a duck to water, but to beat Robbo in an event like this may be asking a little too much. Possibly the most competitive match of the session is Ricky Walden and Marco Fu. Their only meeting was in a PTC back in September when Marco won 4-0 and I’m sensing Ricky isn’t in great form of late and suffering a bit of a mid-season dip, at the odds I’d back the consistent and experienced Fu. Stephen Maguire has a 7-1 head to head statistic against Mark King with King only winning their first meeting back in 1999, Mags doesn’t tend to struggle against gritty match player Kingy and this suggests a win for the Scot is on the cards again. Having suffered watching Dom Dale struggle to put a match to bed against Jimmy White on day one, I can’t keep faith with him against Mark Allen who I would suggest is the banker of the morning. Selections: Williams, Robertson, Fu, Maguire, Allen. Recommended Bets: 4 points on Holt (+2.5 frames) at 1/2 with Apollobet. 4 points on Mark Allen (-1.5 frames) at 4/6 with Apollobet. 2 point double on the two pays 6/4 at the same firm. Pointers: Dave Harold holds a 5-1 head to head lead over Graeme Dott, Graeme has not beaten Dave since 2000, the first time they met. Shaun Murphy has beaten Rob Milkins fairly easily in their last two meetings. Ding has beaten Marcus Campbell 7 times out of 7. Selby leads Perry 6-3 in their head to heads. 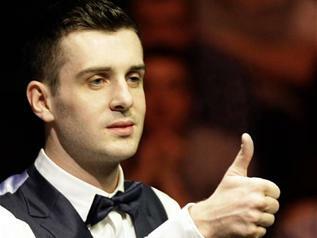 Selections: Trump, Harold, Murphy, Ding, Selby. Recommended Bet: 2 points on Harold at 5/2 with Ladbrokes. Recommended Daily Acca: 3 points on Robertson, Allen, Maguire and Ding pays almost 5/2 with Apollobet. The best of luck if you get involved in the evening session matches, whatever they may be. You can find all updated match prices and specials at Apollobet. 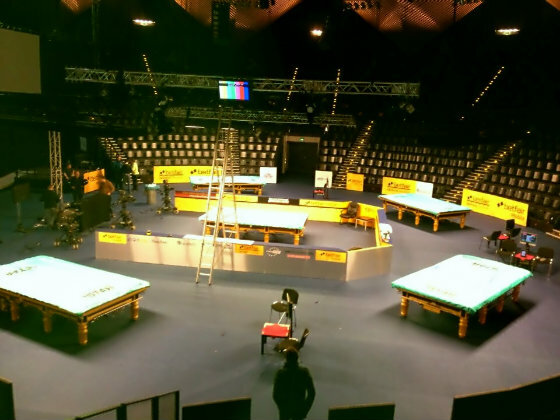 It’s Day One of the German Masters in Berlin as the action gets underway from the Tempodrom in front of what I am sure will be the usual great crowds. This features a mix of matches which includes those carried over from the final qualifying round as well as the First Round proper (Round 3), the big names are all in action and it promises to be a great first day. My outright preview for this event can be viewed here and all match prices from Apollobet can be viewed here. It’s a unique set up in the arena with five tables in action and in full view in each session, if you haven’t caught this tournament before I urge you to give it a look on Eurosport as it’s one that I am sure you will enjoy. Myself and Mrs SB fly to Berlin on Thursday and will be there for the final stages, in the meantime here is a look at the 15 matches being played on Day 1. I was hoping that the MJW v The MO’D would be televised in this session but they have plumped for the Murphy and Woollaston tie which I suppose is understandable as combined the two are comfortably the highest ranked. I was very impressed with Ben when his matches in Munich were televised recently and he’s a player that is winning a lot more than he is losing these days and not phased by the cameras it seems. Shaun however is one of my picks for the title so I’ll stick with him, he’s won the pairs only two meetings to date he’s in form and is usually a solid starter in events. As for the MJW/MO’D tie I will just sit anxiously watching the scoreboard tick by and hope that Martin can put up a decent showing. Of course you have to fancy MJ and only a brave punter would bet against him but it would be fantastic, as much as I am a fan of MJW if Martin could progress, fingers are well and truly crossed. Mark Allen and Nigel Bond have never played each other which surprised me a little, Allen is another that will have his supporters this week and Nigel hasn’t done a lot to suggest he can cause an upset here. The bet of the morning and possibly the day however has to be Berlin resident Dominic Dale who is up against an increasingly declining Jimmy White, I just can’t see Dom not winning this is in a canter and his price for me is value enough to throw in a maximum bet in the very first session. You have to go back about a year since Jimmy beat a player ranked as high as Dominic in a ranking event and amazingly back to the Grand Prix in 2005 since Jimmy’s last main ranking event win at a main venue in anything other than a wildcard round in China, when he beat Ricky Walden 5-2. *(OK in 2010 in a carried over qualifier he beat Paul Davison 3-1 in the ill-fated World Open)* Whatever way you look at it, it’s still quite incredible that. Finally, Ding who is my main fancy for the title opens up against Hendry’s lad Liu Chuang, I don’t get involved in all-Chinese clashes but on recent form Ding should be safely into the next round there. Predicted Winners: MJW, Murphy, Allen, Dale, Ding. Recommended Bet: 5 points on Dale at 4/7 with Betfred. Unsurprisingly Mark Selby’s match will be televised against Un-Nooh, the improving Thai player who’s surname (recycled gag alert) sounds like a disappointed Scotsman (laugh damn you). Whilst Un-nooh is an improving player in the lower ranks this is a different kettle of fish and he surely can’t pull off a win against the man in form. Apparently Peter Lines beat John Higgins in the shootout at the weekend, I only know this as Oliver told me but again this is a massive step up even for someone of Peter’s experience. Neil Robertson will also expect an easy ride into the next round courtesy of Daniel Wells who again is improving at the lower levels of the game but who again faces a huge jump up in class. The other two matches may be a little closer, Maguire will expect to win through against Angles McManus and has won their past four meetings but it would be no surprise if Alan pulled off a shock, although that may be an oxymoron. The other match is arguably the best one of the day on paper between Bingham and Higginson, again it’s strange that they have not met on the circuit before seeing as they have been ranked so closely together for years, I can see this being an open match with plenty of big breaks between two players that don’t hang around, but as there are no century break markets out there that I can find it’s best left alone unless you can back there being more than one anywhere, the match prices are about right I reckon with Stuart a fairly strong favourite. Predicted Winners: Robertson, Higgins, Maguire, Selby, Bingham. Judd Trump starts his campaign against the experienced Thai James Wattana and the TV lights are back on the naughty wonderboy. James is not the type to hand things to Judd on a plate and this is a banana skin if Judd’s feeling like fooling around, the prices are ridiculous so it’s not even worth taking a risk in an acca, Judd might just mess up and if he does Wattana is the type that can take advantage. Guodong and Maflin is a match I mentioned in the main preview, it would be going against the grain if this didn’t go to a decider as 6 out of 7 times they have played it has, including the last four which have all been won by Guodong. Ali Carter faces Fraser Patrick, the amateur player who kicked Martin Gould out of this, he’s a nice player is Patrick but surely again this constitutes a nice warm up for the Captain. Matthew Stevens form of late has been pretty poor, with the exception of some flashes in the UK he will have to up his game to beat Jamie Burnett in my opinion, this season seems to be slipping away from him at the moment and he needs to get it back on track, they are two other players who have not met over the years. Finally, Barry Hawkins takes on Dechawat Poomjaeng in what again I think is another example of a match where the venue will make all the difference. The new flatter structure is something I think is much fairer but it might also be one which sees profits from betting soar until the players lower down the ranks get used to the conditions at the main venues. We shall see and today will either be a lesson learned or the start of the betting community bigging up the flatter structure. 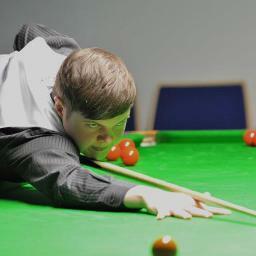 Predicted Winners: Trump, Maflin, Carter, Burnett, Hawkins. Recommended Daily Acca: 4 points on Allen, Higgins, Selby, Robertson and Carter pays almost bang on 6/4 at Apollobet. Add Dale and Hawkins for a 2 point acca which pays over 4/1 at Apollobet. German Masters Preview – Can The Captain Upset the Odds? Wednesday sees the start of one of the best tournaments of the season as the German Masters gets underway from the Tempodrom in Berlin. It’s covered extensively on Eurosport and is a real gem in the calendar which usually produces excellent snooker in front of sell-out crowds. It was won last season by a certain Ronald Antonio O’Sullivan and marked the return to the main ranking event winners enclosure for the man who would just a matter of weeks later also coast to victory at the Crucible. 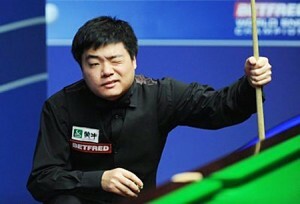 He beat Stephen Maguire in the final in what for many was the match of the season last year. Although Ronnie isn’t back to defend his title there is still plenty to savour as we return to the normal, more comfortable way of things following the loud and raucous hullabaloo of the Shootout, whose champion Martin Gould is also absent having failed to qualify from the flatter structure set-up of this event. Gould was beaten comfortably by amateur player Fraser Patrick who marches on to face Ali Carter here at the venue. A huge highlight for me is in the very first session on Wednesday as Martin O’Donnell, the current Snookerbacker Classic Champion makes his debut at a full-ranking event venue where he takes on Mark Williams. MJW has been a little out of sorts, at least under normal rules lately so a shock win for our man The MO’D is not completely out of the question against the two times World Champion who won this event two seasons ago. On a personal level I’m really looking forward to it as myself and Mrs SB are travelling over to Berlin to watch some of it, combining this with a (can I be so arrogant as to say well-earned?) winter break, some Dornfelder grape and some sausages, before we get back on the road for the last two episodes of this season’s Snookerbacker Classic when Martin’s successor is crowned in Leeds on February 22nd, so it’s a busy but enjoyable month for us. We are also staying in a hotel in Berlin that David Bowie once stayed in apparently, hopefully not when he was on the dogends of his arse and smashed off his face on cocaine in his ‘Low’ period, but it looks nice on the pictures anyway and the reviews seem pretty good from loving couples like what us two are. Internet connections/Mrs SB’s carefully planned itinerary for us/Hotel house rules and curfews for crackheads permitting, I’ll be posting as many updates as I can from Germany and I look forward to a great if very cold few days there. I’m also looking forward to presenting the tournament chiefs with a long overdue Willie that I awarded them in 2011 for Best New Event and I’m sure they will love their erection, after all they are only human. 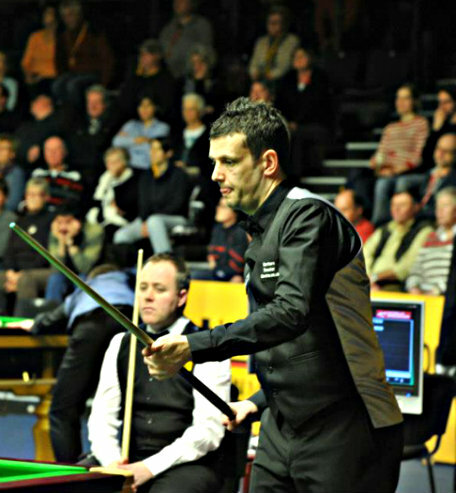 The draw and format of the German Masters can be viewed here. Now for my outright preview, we’ll do what we always do and take it quarter by quarter, it worked a treat at the Masters and we cleaned up, let’s see how it goes when we revert back to the trickier bigger field. 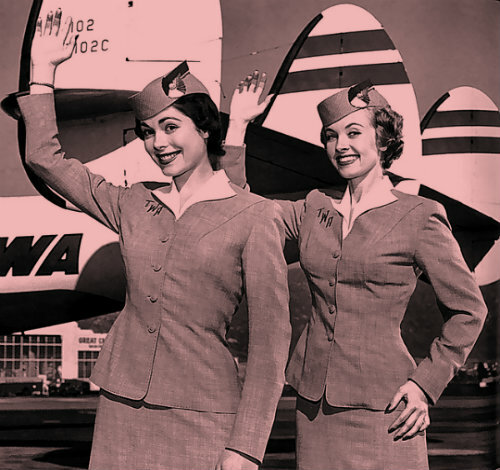 The Captain: Ready to Fly? Much has been made of the demise of Judd Trump, but I would say that talk of this is very premature indeed. That said, he has looked far from his best in two of his favourite tournaments; the UK and the Masters after playing so well earlier in the season in China. Some said he looked unprepared, others that the pressure of expectation was getting to him, but he’ll be disappointed with those showings and will want to come here and win to silence the critics. Personally I think it’s a big ask for him and there are players coming into this in much better form than Judd is. He should win his qualifier against James Wattana but then could face Ali Carter, who wanted to play him in York but was denied the chance by Mark Joyce. I like the look of the Captain’s chances in this and news from Team Carter is positive. Further down Xiao Guodong and Kurt Maflin form an unlikely Round 3 tie, those who follow snooker regularly will know that when these two lock horns they generally produce superb stuff. Amazingly, they have played each other 7 times and of those (including the last 4, the other one was 5-3) it has taken a decider to separate them 6 times. Kurt won’t thank me for reminding him that he has lost the last four deciders and he will want to make amends at a venue, but either way you can’t realistically see either of them winning the quarter. At the bottom of Quarter One is the MO’D’s match with MJW with the winner to play Michael Holt. I’ll of course be cheering on Martin to get the better of his more illustrious and let’s just say ‘close’ opponents and I hope he does. But in terms of a player to win the quarter and kick on, I’m going to stick with Ali. It’s a sign of how hard snooker is to call these days that there are four players vying for favouritism in this event, one of them of course being Neil Robertson, who is many people’s idea of the next multiple world champion the sport will boast. Robbo has a qualifier to play that’s been carried over in the shape of Daniel Wells and then he’ll meet the improving Michael Wasley, but it would be a shock not to see him after the first couple of rounds are finished. If Neil emerges unscathed he will then meet either Andrew Higginson or Stuart Bingham, it’s just a feeling but I think the winner of this match may give Robbo a bit of a shock, either way something is telling me not to back the Aussie in this. It’s the bottom section of the draw that I am going to concentrate on for a bet and this for me is the type of event suited to Shaun Murphy, it’s not too long and there is always something going on. He looks ready to win, he has done now for a couple of months and this might be the place he does it, he made the semi-finals here last year so likes the venue and I can’t believe he will go the season without winning a ranking event, he’s playing too well for that to happen. This is his chance and although Ali has stolen the headline, if they meet in the semi-finals I’d probably plump for Shaun to win. This isn’t the quarter that I think we’ll see the winner emerge from, I have slight doubts about John Higgins at the moment and I can’t put my finger on why that is. He looks as determined as ever but in both the UK and the Masters he’s not really delivered when pushed, which is very unlike him. I remember when Stephen Hendry started to lose his killer edge it was around the same time that he started practicing on his own at home rather than ‘going to work’ at a club. John has recently done the same thing and as their careers have always been about winning you wonder if the same might be beginning to happen to him. Ricky Walden, Ken Doherty and Marco Fu are there to try and stop John in the top section and though he may coast through, I’d say Fu on current form is his main danger. Stephen Maguire is also in this quarter but I am sensing a mid-season lull descending over him and whilst there is also the likes of Mark King and Matthew Stevens sitting in there I reckon a better proposition in the each way market at a huge price is Jamie Burnett. He’s more than capable of holding his own in this company particularly as he’ll probably be playing on outside tables which have more of a qualifiers feel to them until, depending on who gets through the match he’ll have to win his quarter. The price alone raises an eyebrow on a player that has made a PTC final this season and has done well in main ranking events on several occasions. Recommended Bets: 1 point on Marco Fu to win the Quarter at 8/1 with Apollobet and 1 point on Jamie Burnett to win the Quarter at 12/1 with Apollobet. 0.5 point each way on Burnett to win the German Masters at 125/1 at Skybet. Ding: A nod’s as good as a wink. Many will see this as a great chance for Mark Allen to lift a ranking event trophy this season and you have to say that the draw has been kind to him up to the quarter finals. He is best priced 14/1 at Apollobet and I wouldn’t put anyone off that if they fancy a punt on the Pistol as I’d be very surprised if he didn’t make the quarter final stages of this. But then comes the tricky bit, as in the bottom section of quarter four lurks the tournament favourite and world number one Mark Selby, who is looking to continue his spell of dominance having captured both the UK and the Masters along with the heart of his bank manager. There is no doubting that Selby is now the man to beat in snooker, he has his critics but he gets the job done and is a winner. In the UK winners aren’t always that popular so he’s probably picked the wrong place to be born (which is also responsible for his slightly inaccurate nickname) he’d have been better off being German. But the player I like in this section is also a winner, who was within an inch of having a great run in the Masters and that’s Ding Junhui, he’s another like Murphy that is playing himself into form after a shaky start to the season. I think it’s him who will put an end to Selby’s run and then go on and take the quarter, his price remains very attractive given the form he’s in and the reason I’d stake more on him is that once he gets on a roll to a final he is very hard to stop and difficult to oppose. Recommended Bet: 3 points on Ding Junhui to win the German Masters at 14/1 with Apollobet. Yesterday saw the penultimate qualifying event to this season’s Snookerbacker Classic Grand Finals in Leeds and it was cause for a double celebration as birthday boy and local lad Sanderson Lam became the seventh player to qualify for the Grand Finals on February 22nd. Mrs SB and I decided quite late in the day to travel to Leeds a day early given the half a millimetre of snow that was terrorising and traumatising residents of England all week, so we got there in plenty of time to enjoy a curry at our favourite Indian restaurant in Leeds, well in truth, it’s the only one we’ve been to but it is top drawer and on a shortlist of one for the annual celebratory post-tournament meal, though I may have to request that they burn the onions on my salad as they don’t seem to have quite mastered that as yet. Anyway, having partaken prior to this in a wine or three I found as I was leaving the establishment that I had carelessly misplaced a scarf that I had taken with me which I had originally found on a train in Paris. 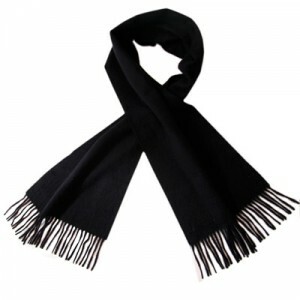 I have to say that I am a little disappointed that my Twitter appeal for its safe return fell on deaf ears yesterday and I can now only lament on the good times we had together, Pierre and I, and hope that he finds his way onto his (at least) third loving owner, he’s kind of like The Littlest Hobo of the scarf world and something of a maverick and I wish him all the best. He’s truly one of a kind. Anyway, despite my loss I soldiered on and we arrived at the Northern having accosted referee Martyn Royce somewhere on the Leeds loop road as we hopelessly went around in circles for what seemed like weeks. But the rock steady nerve of the white gloved man ensured that the panic-stricken tournament organisers finally reached their destination with minimal further fuss. As Mrs SB’s baked goods were being placed on her famous silver ‘antique’ cake stand the players began to arrive. Soon the Northern was getting packed and the atmosphere was building nicely for what promised to be a great day. Unfortunately, one casualty was Phil O’Kane who had decided rather unwisely to stay the night in Sheffield the previous night and trust a friend to take him to Leeds the next morning in time for the 10.15 start. To cut a long story short, Phil had to take a taxi between the two cities to the tune of £70, he was also docked a frame by the callous and unsympathetic tournament director and started his match against Ben Harrison under stressful circumstances, but as it turned out he needn’t have worried as he ended up dumping out the pre-tournament favourite 4-2. He also hit the highest break of the first round of 91, which at that point stood in top place for the £100 daily highest break prize kindly sponsored by ELA. Was Phil’s careless day about to take a turn for the better? Results were coming in thick and fast, indeed Newcastle’s Elliot Slessor won his first match against Penguin Protege Russell Morgan in under 45 minutes. Russ came adorned with a penguin motif on his top and armed with a certain brand of chocolate coated biscuits. Elliot faced a long wait, as it turned out a very long wait to play the winner of the last match in Round 1 to finish won by Chris Keogan a good two and a half hours later. There were also first round wins for Sanderson (obviously), Sean Hopkin, Sydney Wilson, Martin Ball and John Whitty and it was time for them to battle out their quarter final matches under the watchful eyes of referees Royce (The Rock) and Leeds stalwart Alex Crum, who seems very taken with my wife. In the meantime at the tournament desk it was nice and relaxed, by now the official tournament snoopie Louise had arrived as well as Roland from Snooker Island and Kev Ellis from ESP Exhibitions who told me all about a forthcoming exhibition he is arranging with John Higgins and Michaela Tabb in Huddersfield, it sounds like a decent night out and he said he might put forward a VIP ticket for me to give away on here at some point. 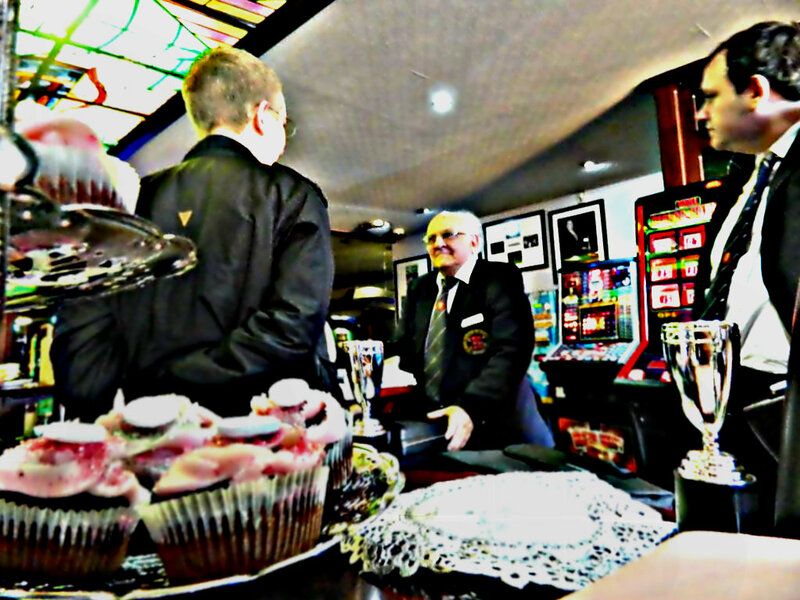 The cakes as ever were flying off the antique stand, in fact I think some of the players mentioning no names (aaaaheeemmmm Damian Wilks, ahem) only enter to get their hands on them. 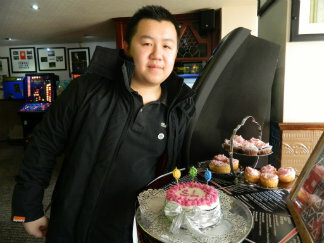 Mrs SB had also made a special cake for Sanderson who was celebrating his 19th birthday, he seemed delighted with it and the stickers we bought him of pandas which are now happily residing on the handle of his cue case, little did we know that the day was soon to get even better for him. Lam edged out Sean Hopkin in a decider in the second round and Sean may now be concentrating on a national junior event that he’s doing very well in. He’s been beaten by two finalists this season; Ant Parsons in the last final here and now Sanderson so he can be very proud of his performance this season. In my book he’s a real one to watch as I can see a huge improvement in his game in twelve short months and he has bags of time on his hands, you heard it here first folks. Elliot Slessor again made short work of his match, beating Gloucester Finalist Chris Keogan 4-1 and getting the tournament right back on schedule with his swashbuckling style of play. But the day was about to take another cruel twist for O’Kane, who not only lost to Sydney Wilson but also saw his highest break beaten by John Whitty by just a single point to deprive him of his £100 taxi fare refund. Well, at least Phil to the best of my knowledge didn’t also lose his favourite scarf to further compound the misery on a day I’m sure he’d rather forget. This was to remain the highest break of the day and it’s my fellow scouser John that wakes today £100 better off, although he too fell at this hurdle having been beaten in a decider by Martin Ball, another North-East lad. It was during the quarter finals that a chap I didn’t know called Lionel who is a snooker coach in the area came and shook my hand firmly and heaped gushing praise on the tournament and the blog which he said he enjoys immensely. It’s always nice to get feedback like that and he looked like he genuinely meant it, though he did leave with a cake so maybe he had other motives, we’ll never really know for sure. Throughout the day Grand Finalist Oliver Lines was present to watch his pal Sandi and it was great to see him again following his win back in September when he became the first finalist. He’s a cracking lad and is thoroughly looking forward to the big day as am I as the field is looking top quality now with just one more heat to go. Back on the table Sanderson managed to put a stop to the charge of Slessor who may have suffered slightly from the long delay between his first and second match but I’m sure he’ll be making his mark very soon. In fact on that subject, it’s quite interesting that the three players that have won the Leeds heats, Lines, Parsons and now Lam have all been players that like to ‘get on with it’ and need very little time between matches. This is something that also helps the tournament flow and it might be worth noting for other players entering this next season or indeed entering any other events, sometimes it’s best to just keep going. Sanderson was joined in the final by Martin Ball who put out last season’s Grand Finalist Syd Wilson. It’s fair to say that Syd did get a bit annoyed at himself a couple of times in the match and his frustration was clear and provoked a reaction from no-nonsense referee Crum who ‘had words’ at one point. Martin had noticeably the cooler head of the two and as so often happens this is the player that gets the result in the end. LOST: This isn’t Pierre but it looks a bit like him. 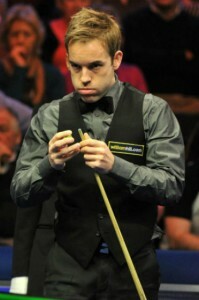 So it was to the final and Sanderson produced some excellent snooker to secure a whitewash. Martin seemed a little tired towards the end of what is a bit of a mini-marathon of a day. But in truth from 2-0, Sandi always looked like completing what was something of a perfect day. 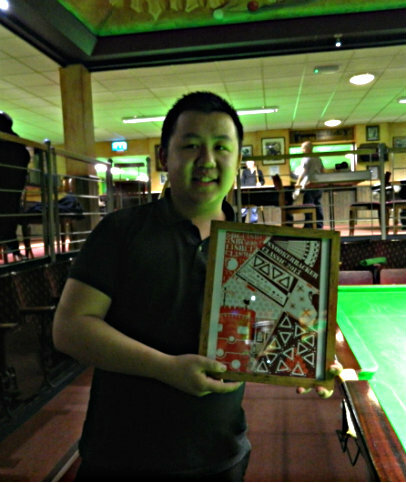 Obviously, those famed and fabled snooker gods were looking down on him and he left with a cake, some new case decorations, his winner’s artwork (which was originally for the Dublin winner before this event was rearranged), a place in the Grand Finals and a huge smile on his face. Sanderson now joins his pal Oliver as well as Kyren Wilson, Andrew Norman, Jamie Clarke, Adam Wicheard and Ant Parsons on Grand Finals Day. We have the Last Chance Saloon winner yet to come from the bumper event in Gloucester on Sunday 17th February when we will find the final Grand Finalist. To enter the final qualifying heat just click the ‘Pay Now’ button on the side of the blog and enter your bank details or contact me directly. So a big congratulations to Sanderson who is now just two wins away from the big prizes, also congratulations to John Whitty on winning the highest break prize and as ever a thank you to everyone who continues to support the event in whatever way. You can see all the results from Leeds courtesy of the fantastic My Snooker Stats website here and a big thanks to Andy Guest, the brains behind it for building this for me at very short notice. He is also promising something a bit special to keep everyone up to date with the Grand Finals Day, but more of that as they say, shall be revealed in due course. I’d also like to thank Colin from Perth who I met all too briefly as we were leaving, but not before he gave me a little present. When I say a present, I think that’s how you’d best describe a little purse-like object made out of a kangaroo’s scrotum. Perhaps it’s some kind of custom but I politely smiled as I took receipt of this thoughtful gift. My mum always taught me to look grateful even if the present isn’t what you really wanted and I have to say the ballsack of Skippy wasn’t that high on my wish list, but it’s the thought that counts I suppose. Oh and just a final appeal, if anyone sees a dark blue woollen scarf answering to the name of Pierre in the local area, please let me know. Thanks. Regulars will know that I’m not a fan of the Shootout, I thought the first year was OK but last year left me feeling a little bored after the first few matches. I’m not going to bother with it this time around given that the shotclock has now been reduced to slapstick levels. Anyway, we’re off to Leeds on Sunday for the next heat of the Snookerbacker Classic so I have the perfect excuse to ignore it. As with most of the firms Apollobet have extensive prices on the outrights and the matches here. It’s entirely up to you which very grateful bookmaker you decide to make your annual donation to. A look ahead to the Classic on Sunday is here along with links to the odds on offer on the day. Whatever your pleasure, enjoy your weekend. The Month Ahead: February – Willie or Won’t he? 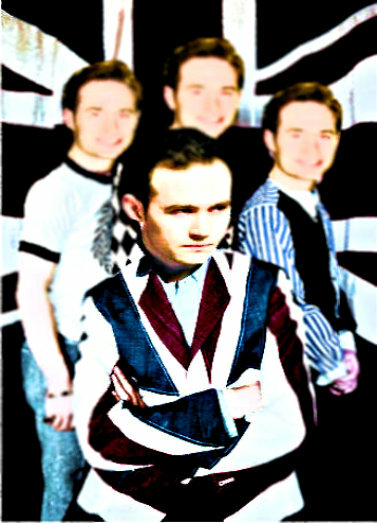 It’s time once more to look forward to what we have in store on the baize in the coming few weeks. February is a month which sees play in three ranking events and the exciting culmination of the 2013 Snookerbacker Classic, which will see a new champion crowned in the tournament that nobody wants to come back and defend. Oh, and the last day I am sure will have journos far and wide in a right old lather as to which pre-written story they will post to the editor about the bloke on your right. The first event of the month actually starts next Wednesday in Berlin as the fantastic German Masters enters its third season. I’m pleased to say that Mrs Snookerbacker and I have kept a promise we have been making to ourselves to combine a winter break in Berlin with a bit of top class snooker. We’ll be attending the event at the Tempodrom from the final Friday and we’re both really looking forward to it, as well as a nice break in one of the best cities in the world. Bring on the vegetarian sausages for me and the famed Currywurst for Mrs SB. The day after this finishes, while we’re still in Berlin over-indulging in all things German it’s once again back to the Championship League at Crondon Park for the next installment of the armchaired snooker brigade and while all this is coming to an end the Welsh Open Qualifiers get underway leading to the main event itself from Newport on the 11th February. It’s got a lot of history has the Welsh (I was so tempted to call it the Regal Welsh then), it somehow always reminds me of snooker in the 1980’s in the tone of its coverage. It just has something of a nostalgic, cosy feel and I was totally against the shortening of the matches and I remain so. It’s odd to think that nowadays there isn’t a tournament that plays best of nine frames at venues in the UK when this used to be the norm, I don’t think changing it back to this slightly longer and more enjoyable format and admitting it was a mistake to shorten it in the first place (which it was) effectively turning it into a glorified PTC is too much to ask. They could always just do away with mid session intervals to make it different. Moving on, the 10th of February is the last day you can vote for the blog in the Shorty Awards on Twitter, strangely it now has an outside chance of actually doing very well so please take the time to vote if you feel the urge, it would be greatly appreciated and retweeted, to the immense and frankly hilarious annoyance of a great many of my followers, but sod them as I just want to win. You can follow these instructions and tweet your vote. Anyway, on the day of the Welsh final which thankfully they haven’t shortened to Best of 7, I am hosting this year’s Last Chance Saloon for the Snookerbacker Classic in Gloucester; the event that will decide this year’s eighth and final Grand Finalist. It will be the first event that I have tried with unlimited numbers so wish me luck with that, all matches will be the best of five frames (and I talk about Bazza shortening matches…). You can read more about this event which has extra prizes on offer here including details of how you can enter and grab that final qualifying slot. Following this, we head back to Leeds for Grand Finals Day, which will decide who succeeds The MO’D as this year’s Snookerbacker Classic Champion and also who wins the two main prizes, so all in all it’s a pretty big week for amateur snooker in the UK. Whooooo are you? Who Who Who Who, will be crowned the new SB Classic Champ? The end of the month sees the top boys travelling back to the land of the dead cats and the World Open. 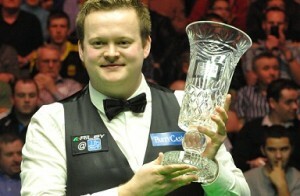 Mark Allen will defend the title he won last season despite hating every second he spent there. I hope for the sake of the organisers that the toilet facilities have improved, the locals aren’t as ignorant and that the place has been thoroughly cleared of dead moggies or Marky will not be a happy bunny. As a further twist and something which I am sure will attract the journos a lot more than the snooker ever could, the final day of the second month sees the deadline for entering the World Championship and we wait with baited breath to see if there will be more than one O’Sullivan in the hat, I reckon Sean will enter so it’s probably all about the other geezer, I forget his name. Last week I was nominated for a Shorty Award in the category of Best Blog and the blog is now in the top ten in the world having received nominations from quite a number of people, including my great pal Steve Davis (we go way back), Stuart Bingham (mee old mukker), Michael Holt (he loves SB) and the one and only MJW (King Float). It needs to get into the top 6 to get to the judging phase when it will surely lose but the competition closes in a fortnight so I would be very grateful if you could take a second to tweet your vote. 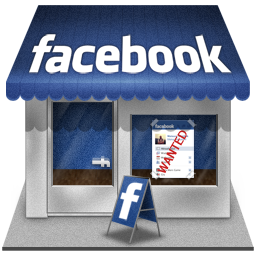 I even did an interview to boost my chances which you can read by clicking here. All you have to do to register your vote is to copy and paste the tweet below onto your Twitter account and tweet it. Thanks to everyone who has voted so far. This Sunday sees the next 16 player event in Leeds which will decide who the 7th player will be to qualify for this year’s Grand Finals of the Snookerbacker Classic. The winner will join Oliver Lines, Kyren Wilson, Adam Wicheard, Jamie Clarke, Andrew Norman, Ant Parsons and the ‘Last Chance Saloon’ qualifier from Gloucester next month back in Leeds on the 22nd February to battle it out for the big prizes. As with the first event, Apollobet have decided to price up this one with an outright market and you can view their prices on the winner of the event by clicking here. As I am the tournament director it would not be appropriate for me to do a betting preview on this but if anyone wants to have a bet on it I thought a short form guide would not go amiss. If you are around the Leeds area on Sunday please come along to the Northern Snooker Centre to watch, everyone is welcome and Mrs SB will be bringing her usual plethora of cakes to mark the occasion. The field is a very decent one and we can be assured some top class amateur snooker. There is also a £100 highest break prize for this event alone which has been kindly donated by the guys at Essential Life Advice (ELA) and let’s face it, we could all do with some of that sometimes. The event gets underway at 10.15am on Sunday and by following the Twitter hashtag #sbc13 you can keep up to date with the latest scores and results. View the full drawsheet for the event here. Russell Morgan is a young player from Bradford who has acquired the tag of the ‘Penguin Protege’ thanks to a generous sponsor who has taken him under his wing for this event. Russell is the current Yorkshire Under-16 champion and was narrowly beaten by eventual Heat 4 winner Ant Parsons in the last event here. Russell faces a stiff task again, this time in the shape of Newcastle’s Elliot Slessor who was beaten by Allan Taylor in a Qualifying Final here last season. Elliot is another young player who is improving fast and has PTC wins over the likes of Ryan Day and Craig Steadman on his CV, he also took Ding to a final frame on the live stream in a Gloucester PTC last November and is a player very much on the up. Chris Keogan was beaten in a decider in Heat 3 at Gloucester by Jamie Clarke, Chris is a Sheffield lad who has been coached by Terry Griffiths, he’s a great competitor who takes a lot of beating and was only a ball or two off making the Finals. He faces Leeds player Jack Orrell, one of two first time entrants to the Classic in this field. Ryan Bailey enters his third event of the season and indeed faces the man who knocked him out in the first round of the last event Sean Hopkin who won their last tie 4-2, Ryan will be looking for revenge here. Sean from Nottingham went on to reach the final that day and was beaten by Ant Parsons, but is back to try again, you may remember him as being the young player sponsored through event one by Shaun Murphy. Finally, Leeds local and birthday boy Sanderson Lam is back to try and join his mate Oli Lines in Finals Day, Sandi was beaten in the Quarter Final of the first Leeds event hitting the highest break of the day there, but missed the last one as he was busy playing Mark Allen in the Scottish PTC, he faces Damian Wilks who was narrowly beaten in the last event in the quarter finals and is back to try and go one or hopefully two better this time, he has been flagged by finalist Ant Parsons as the possible dark horse in this. 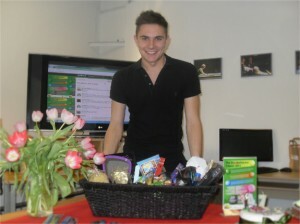 Tournament favourite and last year’s Pamper Hamper winner Ben Harrison will be hoping it’s third time lucky for him on Sunday. He has twice been a heat finalist and lost last season to eventual champion Martin O’Donnell and this season to many people’s idea of the champion elect Kyren Wilson in a high quality encounter in Gloucester, so he has plenty of SB Classic pedigree. Ben faces Phil O’Kane who makes his first appearance in the Classic this season after competing in Gloucester last year, he is an experienced player who more than holds his own at this level so Ben may not have this one all his own way. It’s then the turn of Sydney Wilson who attempts to become the first player ever to make two consecutive Grand Finals days after losing in the quarter finals last season to The MO’D, he faces Classic debutant Darren Bond whose results in the PTC’s to date suggest he’s in with a real chance of making an impact on the day. Next up are William Lemons and Martin Ball, Will entered his first Classic in Leeds last time and after a good first round win eventually fell to the winner Parsons in Round 2, he’s back to try again against Ball, the ‘last minute entrant’ who nabbed the final place after a late withdrawal on Sunday afternoon, Martin is another who has been a regular in the PTC’s and will want to make amends for his first event showing when he was beaten in Round 1 by Sanderson. Finally, my fellow Liverpudlian and former pro John Whitty is back for more, he put up a strong showing in the first event and was beaten narrowly by Oli Lines and he’s still a very tough match player who calls on his years of experience at this level, John faces local lad Joe Roberts who is another that will be looking to make amends for a first round defeat in his only SB Classic to date. So that’s the field for Sunday, remember that there are still places available for the Last Chance Saloon event at the South West Snooker Academy on Sunday 17th February when the last finalist will be decided. It’s £40 per entry and all fees must be paid by 10th February to get into the draw (READ MORE HERE). There is a Paypal link on the top right hand side of the blog to pay fees via bank transfer, you do not need a Paypal account to do this. 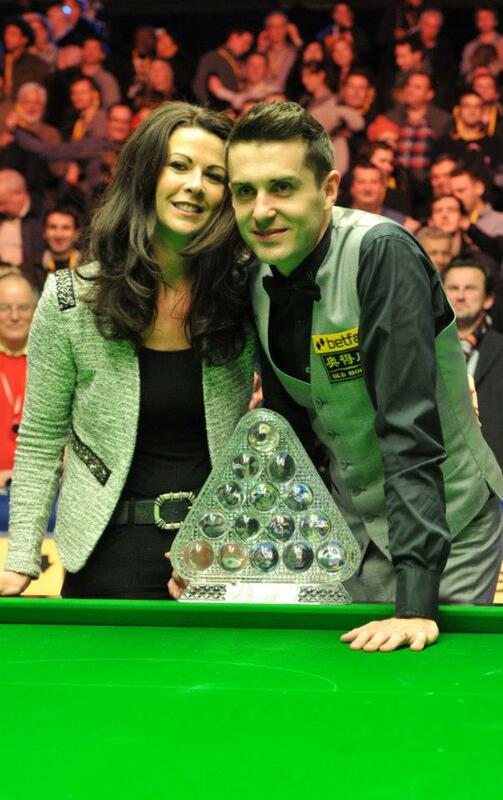 Selby after his win last night with his judy. Mark Selby clinched his third Masters title last night against Neil Robertson to add to the UK Championship crown he won in December. Some will feel that this achievement alone is enough to ensure his legacy as one of the greats of the modern game, others will argue that unless he adds a World Championship, his name will always be a rung down on the ladder of true snooker greatness. Possibly the best example in the modern game of someone who would split opinion on this matter is Jimmy White. Six-times he tried and six times he failed to win a final at the Crucible but with a Masters and a UK crown to his name, he, like Matthew Stevens and now Selby is a player that by a rule of thumb cannot truly be considered a great, if you are applying the letter of the law to this kind of thing. There are undisputed greats, multiple champions of all three of snooker’s blue riband events; Stephen Hendry, Steve Davis, Ronnie O’Sullivan, John Higgins and Mark Williams are the only five players to have won each of these events more than once. Then we have the likes of Ray Reardon and John Spencer, multiple world champions who have one Masters title each but who between them, with the undoubted added handicap of age, never won the UK Championship. There is Alex Higgins, twice World and Masters Champion and once a UK champion, I don’t think you will find a snooker fan alive that would not class the Hurricane as a great of the game. Or does simply winning a World Championship without ever grasping the two other prestige event titles automatically put you in the billiard hall of greatness? Graeme Dott, Joe Johnson and Ken Doherty fit the bill there. Then there is the case of the late Paul Hunter, a three times Masters champion but with a career cut short and with it his chance to add to that tally gone. Would we class Paul as an honorary great who would surely have joined the ranks at some point in his life, had he been afforded the chance? Other names that spring to mind are Terry Griffiths, who won all three titles just the once and Cliff Thorburn, who won the World Championship and three Masters crowns in four years. Peter Ebdon and John Parrott are world and UK champions, should they be considered greats of the game? Well, here’s what the table looks like if we apply the formula of the number of ‘big three’ titles won. Unsurprisingly, Hendry comes out on top with Davis and O’Sullivan the only other two to reach double figures. But to some the ‘ranking list’ above skews the achievement of winning a World Championship, which not only puts you further up the pecking order for a job at the BBC, but for some also ensures that the tag of ‘greatness’ is applied when looking back on a career. When the list is adjusted using the completely random equation that winning a World Championship is worth 5 times what a Masters and UK is worth, the ranking list of greatness alters a bit. *the criteria used to select these players are either World Champions, someone who has won both the UK and the Masters, or someone who has won one of them more than once. Hence no mention of Judd Trump. So what do you think? 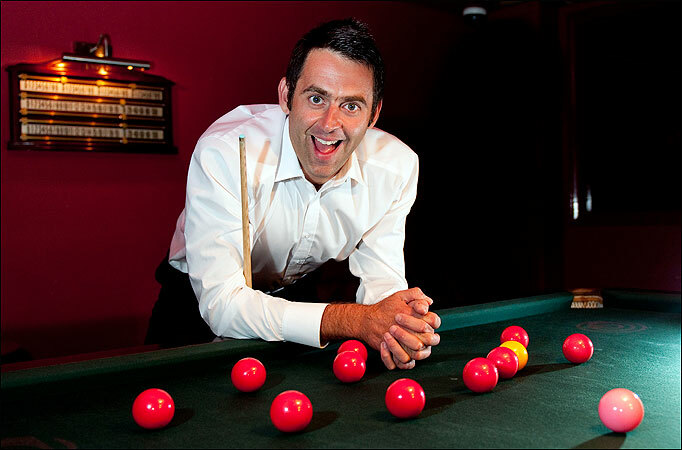 Are there only really a handful of snooker greats? Indeed are there only three? Are either of the lists above tallying with the order you think the greatest players ever to grace the modern game should be ranked? Am I just a sad waste of space with nothing better to do? You don’t have to answer the last one. Anyway, well done to Selby. He’s had a lot of unfair stick this week and I thought he played the match yesterday very well indeed. 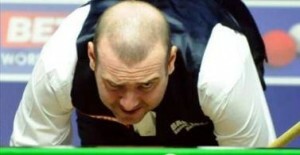 There’s still this tiresome focus on the O’Sullivan ‘will he or won’t he’ saga. Steve Davis, when asked last night said that if someone had have asked him before Xmas if Ronnie would return to defend his Crucible crown he would have said ‘yes’, but now he doesn’t think he will. Either Steve is playing games with us or he knows something, as arguably he is the only person that will probably know what has been said between the two main protagonists Hearn and O’Sullivan. Either way Ronnie has until 28th February to decide and then when he does we can all get on with looking forward to it. Here is the draw for next Sunday’s Snookerbacker Classic Qualifying Heat in Leeds which will see the 7th qualifier to Finals Day for this years event. All players must report by the specified start time or docked frames will be in operation in accordance with the terms and conditions of the tournament. Dress Code is shoes, trousers and shirt or polo neck, no trainers. Just look smart ok?